James works as a psychic medium, clairvoyant, clairsentient and clairgustance, psychometry, ribbon and tarot card reader. You must read the following and only proceed with an order for a reading if you agree to the terms and conditions of a psychic and spiritual reading with James. You must be 18 or over to participate in a reading with James. If you are under any Medical treatment for psychiatric problems that could impair your decision to engage in a psychic and spiritual reading, James will need to evaluate and discuss whether the reading can continue. He feels a connection with a client has not been achieved. He feels that the client is not psychologically responding positively and to carry on could cause harm to client. If the client shows any aggressive or confrontational attitude. No fee will be paid if James terminates a reading. All information given by James, is given on the understanding that nothing is 100%. Especially the subtle vibrations of psychic and spiritual connections where you have FREE will to change your path and outcomes. The client will take full responsibility and being of sound mind, for accepting or not accepting any guidance given, predictions and any spiritual communication. All information is given for the client to use of their own choice and free will. James payment processes are fully secured using a 128-bit encryption payment gateway provided by PayPal. If you are booking a face to face reading with James then the client can pay when they finish their reading with James. A deposit of £10 must be paid by Paypal to cover a client cancelation only if James is travelling to the clients house. From the services menu, choose whether you want to book a private (James visits the clients home), phone, skype, whattaspp or email reading. Complete all the required fields on the enquiry form and choose your preferred date and/or time slot. Please pay for the appointment as soon as possible. You will receive email confirmation once James has received your payment clarifying your appointment time. Email readings will be provided by James himself Please don’t pay for this service until James contacts you as he prefers to carry out the reading prior to payment. Please be aware that e-mail readings are not dispatched on a strict schedule. However, you should receive your reply within 5-6 working days of the date that you select. 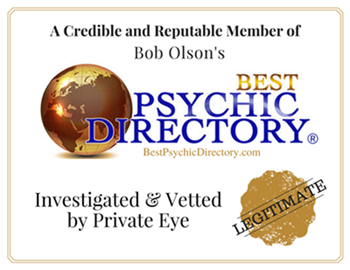 “Psychic Medium” James Levesconte, Monmouthshire, United Kingdom. “User” or “You” means a user of the “Site”. This “Site” is provided on an “as is, as available” basis to the user. “You” use the “Site” entirely at your own risk, James Levsconte cannot be held responsible for any loss of data whilst using this “Site” nor can he be held responsible for any consequential loss of data, nor held responsible for any losses occurring through the transmission of a “virus” or a “worm”. If you need to reach James Levesconte, please use the Contact form on this site please. James Levesconte reserves the right, at his sole discretion, to amend these Terms and Conditions at any time by posting the amended terms on this website.. The amended terms shall be effective from and after the date that they are published on the website.